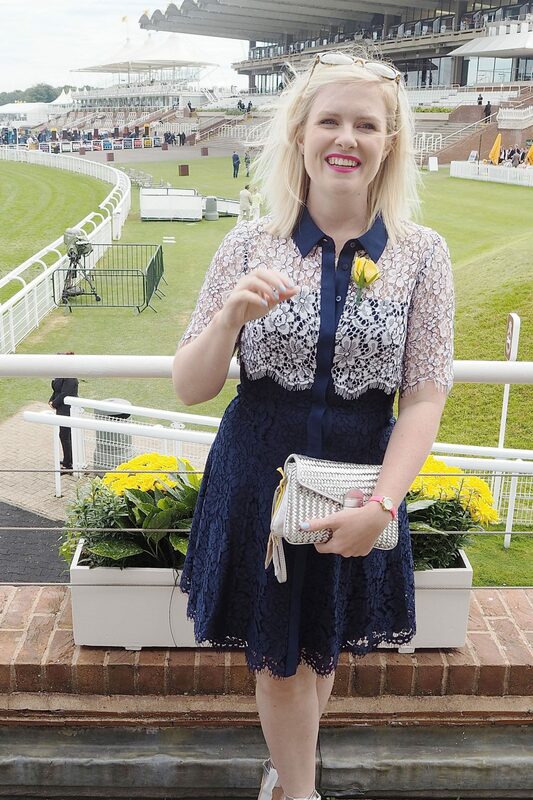 Last year I went to Ascot Ladies day with Dove – it was my first time at the races so I didn’t really know what to expect. 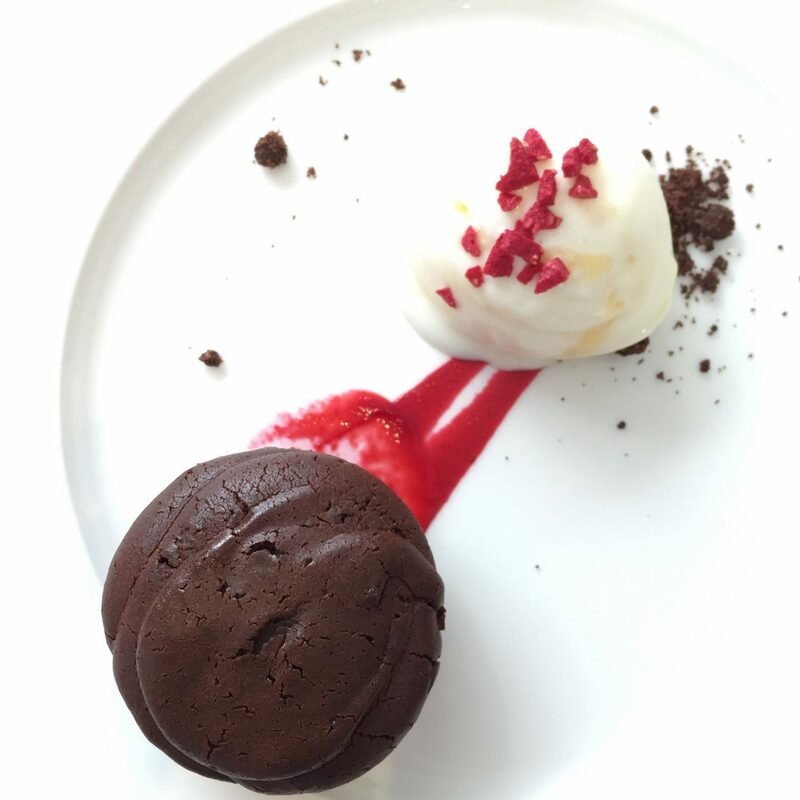 Of course I had all the usual girly worries… Was the outfit I chose dressy enough? Would my outfit still allow me room to eat? Will my shoes be comfortable? Am I prepared for all weather eventualities?! 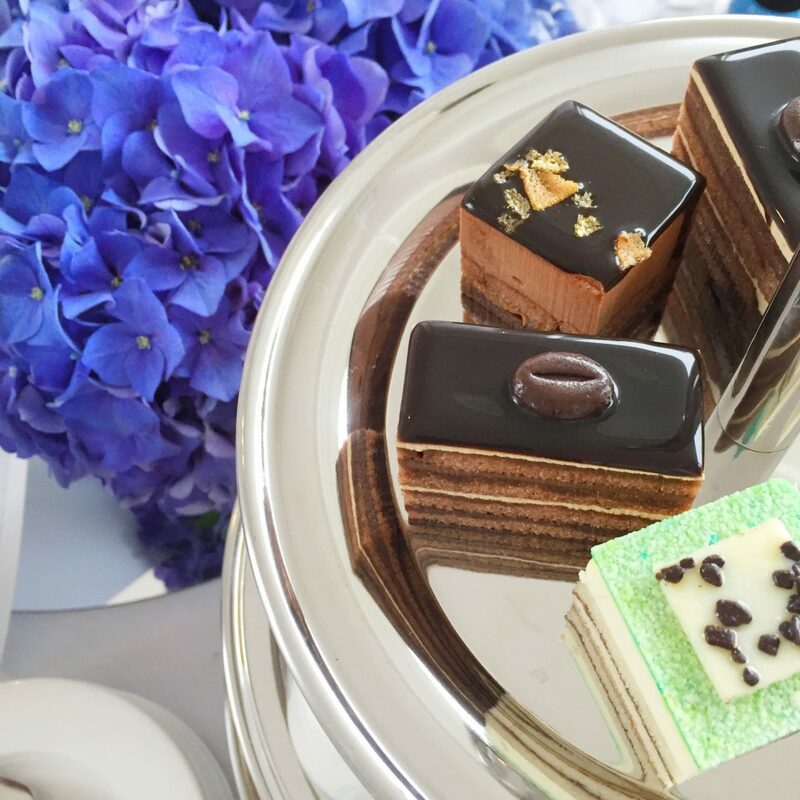 But all the questions aside, I had an amazing day so when offered the chance to attend a colourful day at Goodwood with Dove again this year, I jumped at the chance. A day at the races is much like a Summer wedding. An excuse to get dressed up in as colourful an outfit as you like. In typical British style, it really doesn’t matter if it’s bright and sunny or heavy rain all day. 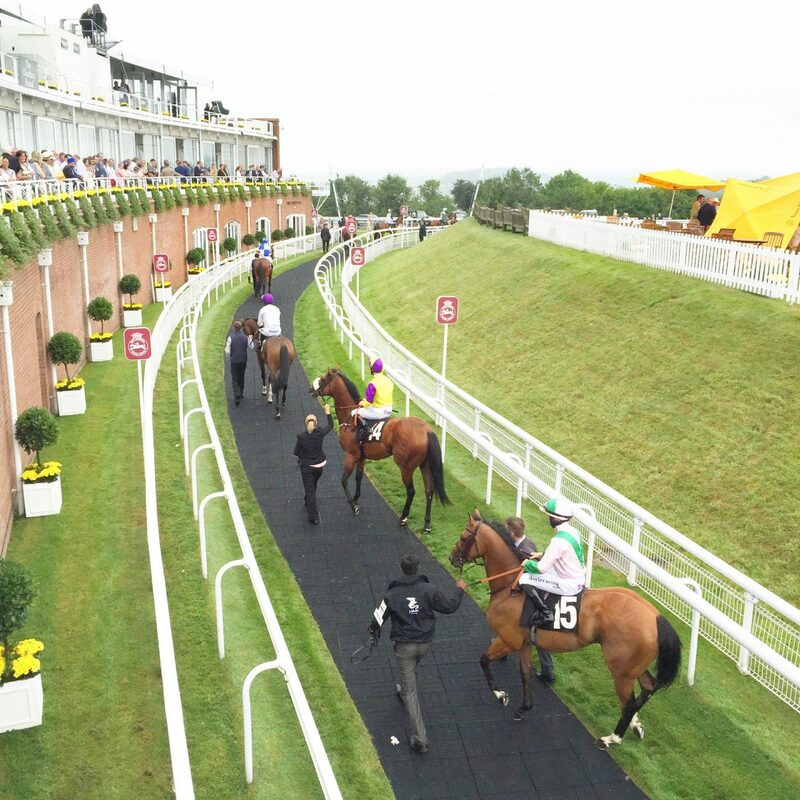 A day at the races brings that rainbow of colour, regardless what it’s like outside. As someone who works from home, I am guilty of falling into that typical trap of wearing slobby/comfy clothing about 90% of the time. Which is why it made such a change to have an event to get properly dressed up for. It reminded me how much I actually like wearing dresses and heels (yes, really) and gave me that spark to do so more often. Which is all very well and good, but you’re probably sat there going…but what has that got to do with Dove?! Well, absolutely everything. 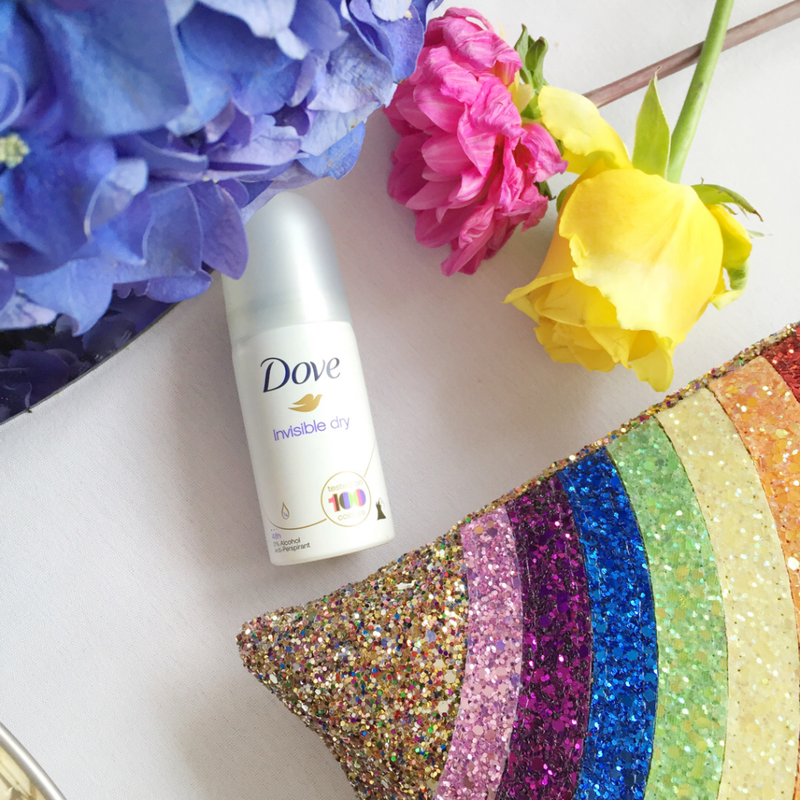 So Dove Invisible Dry antiperspirant has been tested and proven not to leave marks on 100 different colours. So not only can you feel totally confident that you have any perspiration under total control, you can also be sure that you won’t find any of those powdery marks on your clothes. Wether you’re wearing your every day jeans/t-shirt combination or dressed to the nines for the races. At times when you really want to feel your best and most confident, it’s good to take at least any questions about feeling fresh and zero white marks off your list. There’s nothing more confidence zapping, so it’s so important to know you can feel sure you’re totally covered in the armpit-area. 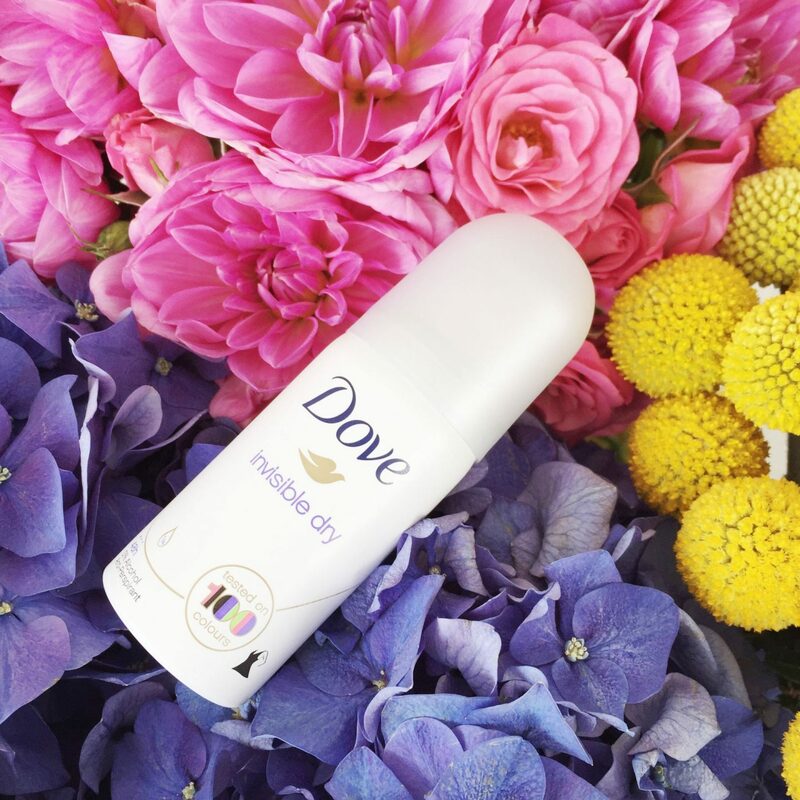 Plus Dove Invisible Dry has all the usual benefits of the moisturising care – especially handy to counter any irritation from shaving – and of course the fresh fragrance (Dove has long been my favourite antiperspirant scent – love that powdery/clean smell so much). 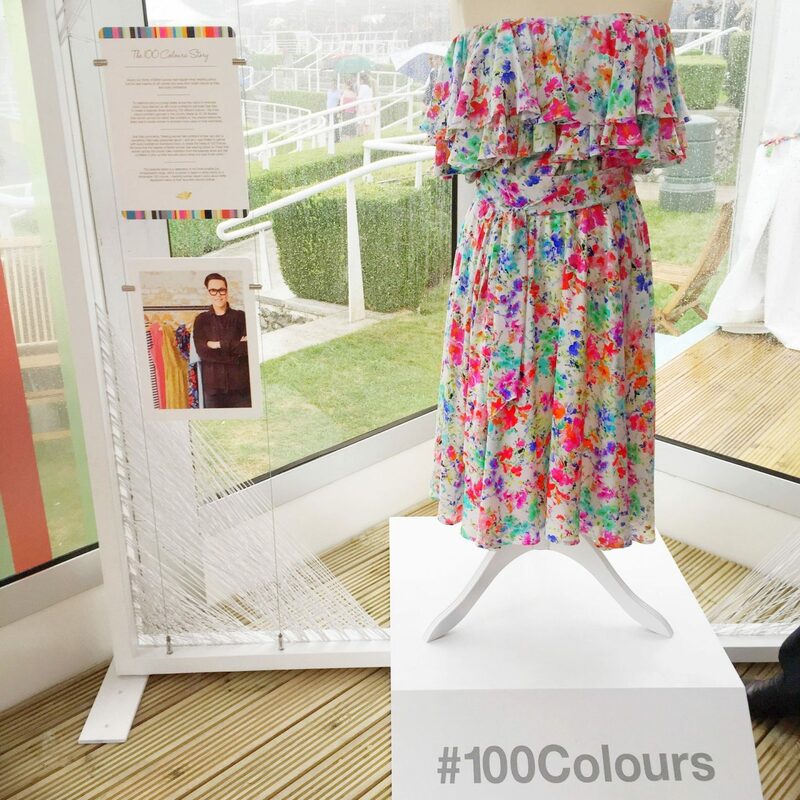 Along with enjoying a wonderful, colourful day at the races with Dove we also got to check out a fab collaboration with the one and only Gok Wan. It makes total sense for Dove to team up with someone like Gok – he’s all about colour and confidence so it’s just the perfect fit. In fact, my sister and I were talking about Gok the other day and saying how fab his shows were – so if there happens to be any TV bods reading this – Bring back Gok on to our TV screens! We miss him and his infectious enthusiasm and confidence building ways. 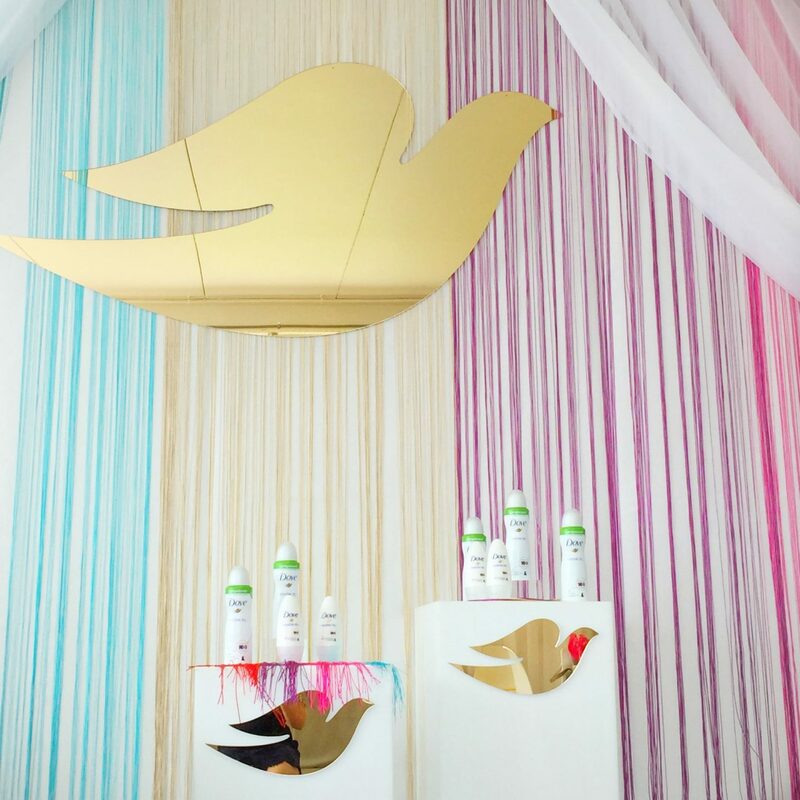 BUT I digress, Gok has teamed up with Dove to create a dress of 100 colours. The dress has been designed to feature 100 colours that have been voted as the ones women feel the most confident in. For me, my colour would have to be blue. It’s been one of my favourite colours for as long as I can remember and anything from blue jeans to the blue dress I chose for the day. In fact, as I type I realise I’m wearing a pair of navy Zara chinos and a blue and white striped top… so blue really is my colour. 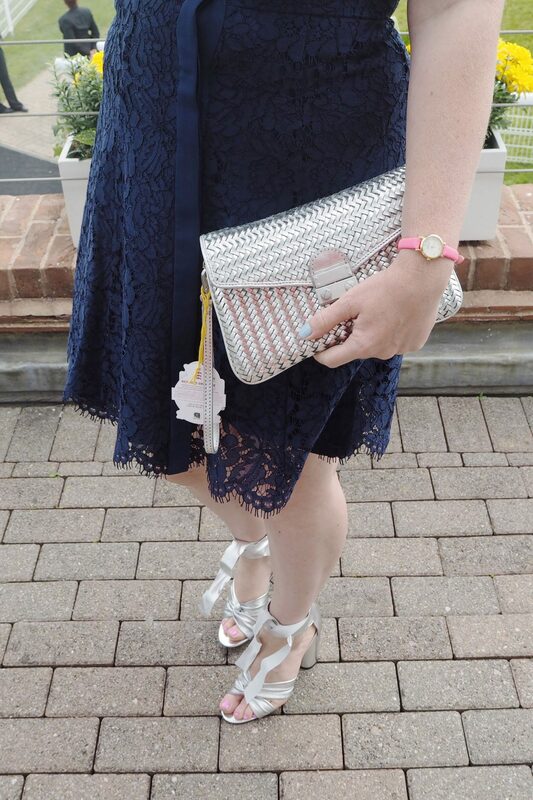 I chose a blue and white lace shirt dress from Whistles and paired it with a pair of silver Topshop heels that may very well be the new loves of my life. As soon as I saw them it was total and under love. The soft leather and the chunky heel. I love everything about them and most of all I love that I wore them all day with zero pain/blisters/discomfort. I paired them with a matching silver bag that I’ve had for a while (no longer available I’m afraid) from Boden that was just the right size for everything I needed for the day. I added a few little pops of pink with a Model’s Own polish for tans pink shade on my toes, a Bobbi Brown Art Sticks Shade on my lips and my little Kate Spade neon pink watch. You know, just to add a splash of extra colour. Personally, I love colour. But probably don’t branch out of my comfort zone often enough. 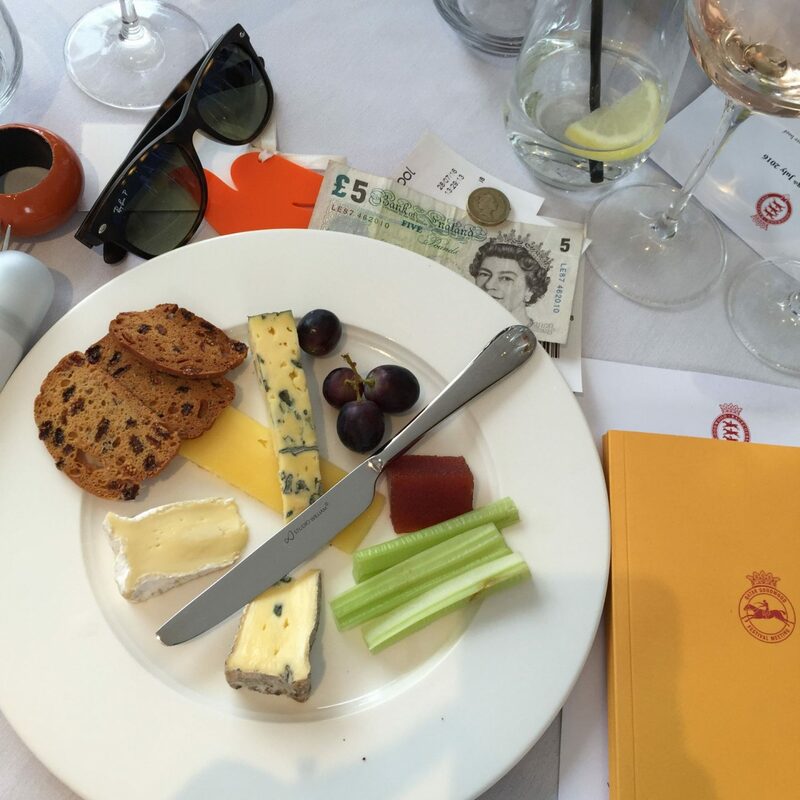 At Ladies Day at Goodwood it was so refreshing to see so many gorgeous colours – from sun flower yellow, to cherry red, bold blue and pops of pink. There was colour everywhere. 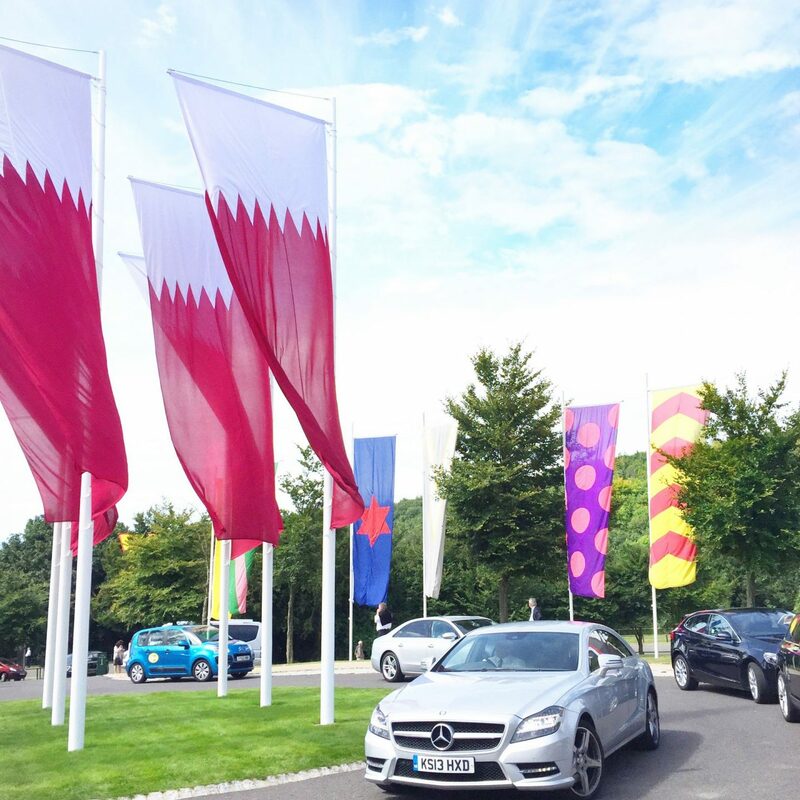 From the moment you walk past the colourful flags at the entrance, to being handed a colourful rose to pin on to your dress. It’s hard not to feel happy when surrounded by colour?! So it’s a wonder why we all too often resort to black. 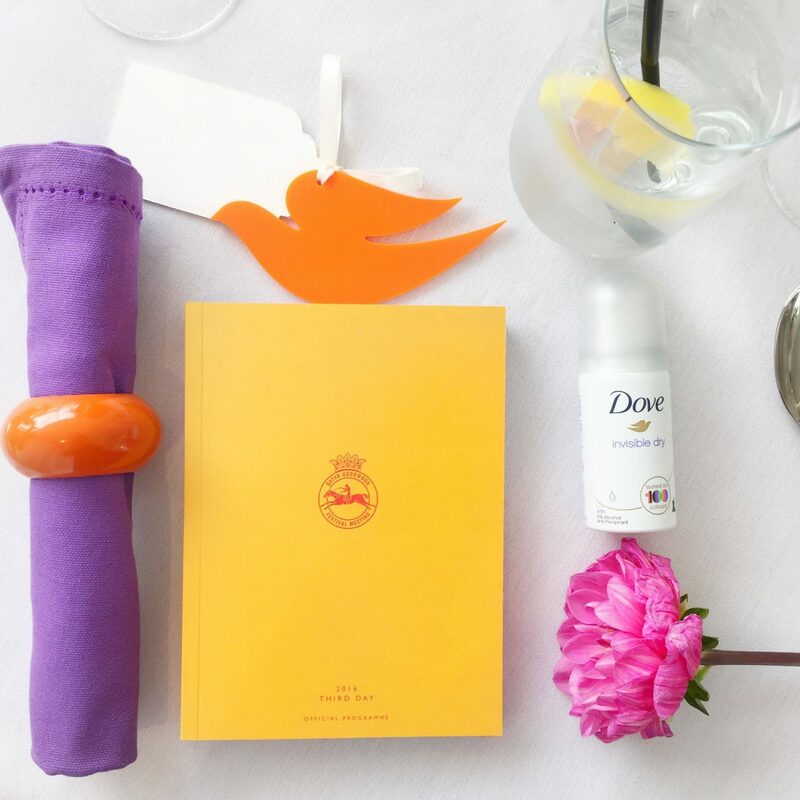 Thank you to Dove for a wonderfully colourful day at the races. It was so much fun and gave me a lovely reminder to maybe break out of my slobby work clothes rut and get a bit fancy from time to time.